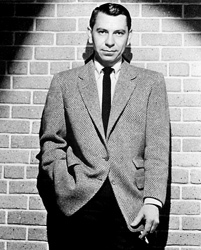 On this day in 1920, radio superstar Jack Webb entered the world. The man who breathed life into the character Sgt. Joe Friday on Dragnet was also a screenwriter, producer, and jazz enthusiast. You know all about Dragnet and its contribution to American popular culture. 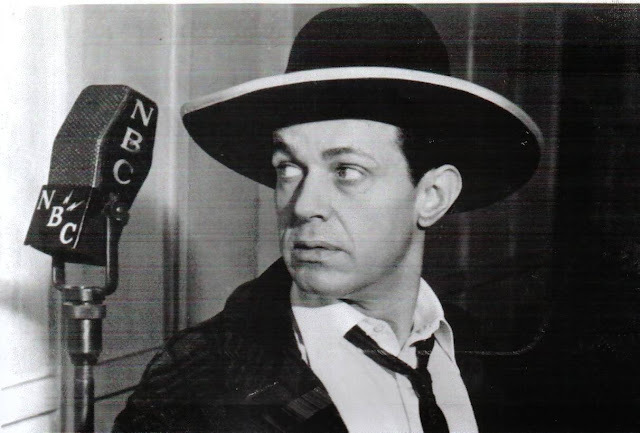 But let's take a minute to tip a digital hat to some of Webb's other contributions to radio. Many of you remember Pat Novak For Hire, a detective show in which the title character contracts to do difficult and dastardly deed around San Francisco. Webb was the original Pat Novak, with Ben Morris taking over later. But do you recall The Jack Webb Show, which ran briefly in 1946? How about The New Adventures of Michael Shayne? 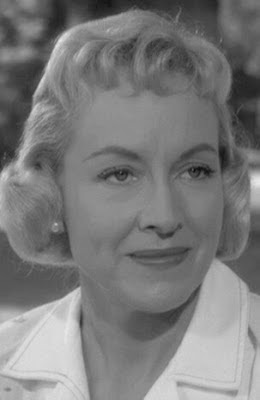 Webb appeared in about a baker's dozen episodes of this series in '48. 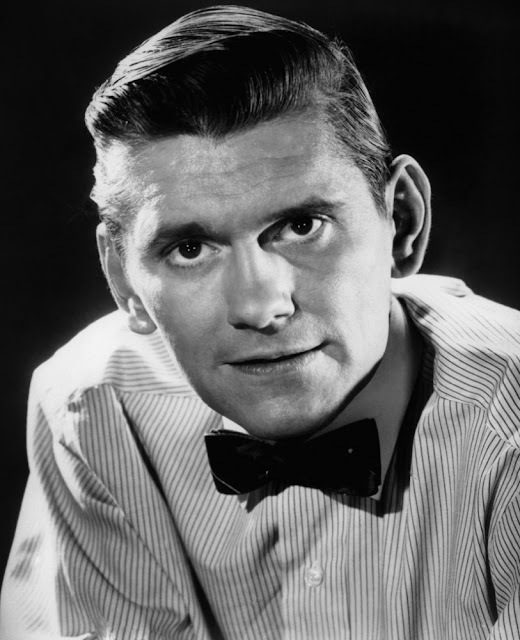 He also lent his talents to Escape, Suspense, Jeff Regan, Investigator, and other great programs. We extend our gratitude to Jack Webb, for the great memories! 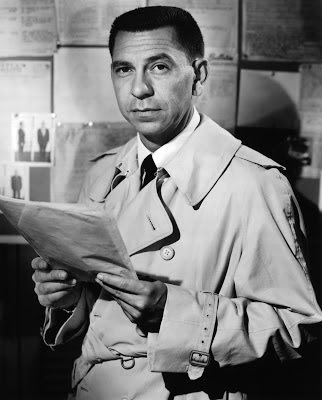 Jack Webb, born on this day in 1920, is best known in the world of radio for his work on the popular series Dragnet. This radio series was birthed as a way of showcasing the hard work that L.A. police officers did. Webb was, personally, an admirer of cops, and he thought they usually got a bad rap from the media. 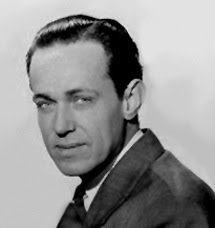 So, with several acting jobs, some of them as detectives, under his belt, he began developing a program that would showcase the techniques of police. It became, though, known for the various quirks and mannerisms of Webb's character, Joe Friday: "Just the facts, ma'am," etc. It also lent to the canon of American pop culture the lines from the opening narration, "the story you are about to read is true," and "this is the city: Los Angeles, California." Books could be--and have been--written on Dragnet. 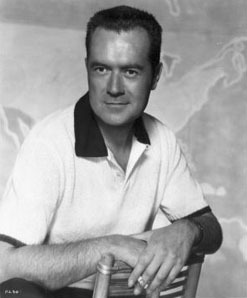 Here, let's mention also that Webb was either the host of or a contributor to other radio series such as Pat Novak For Hire, Jeff Regan, Investigator, The Whistler, and Pete Kelley Blues. So, happy birthday, Jack Webb! Thanks for the memories!